Member of the State Parliamentary Labor Party, Hon. 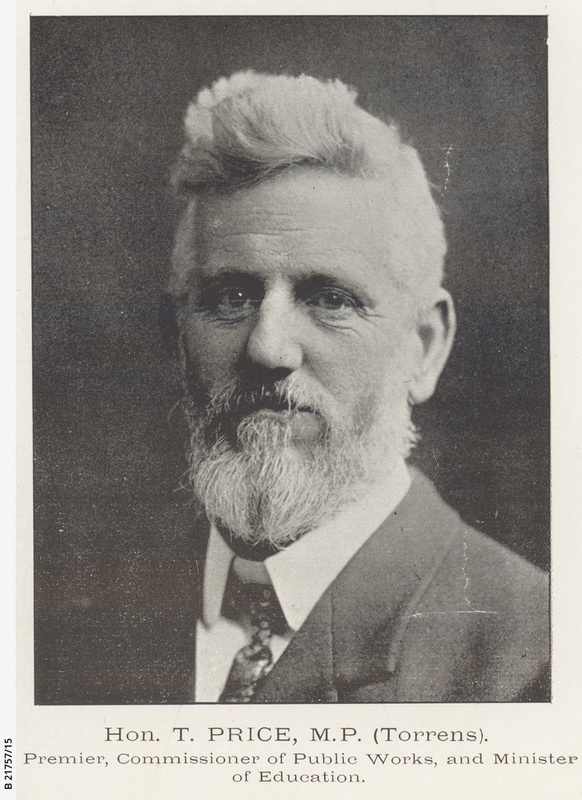 T. Price, Premier, Commissioner of Public Works, Minister of Education and member for Torrens. (Part of a composite - see B 21757/1. ).